I was asked to do this piece as part of a series for TheScoopNG.com. The piece was first published on their website, here. 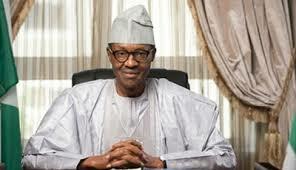 I did not support General Buhari’s candidacy for the 2015 elections and I am therefore wary of adding my voice to the growing list of people setting an agenda for him. However, as someone recently pointed out, he’s going to have a difficult enough time merely living up to his campaign promises without the input of this new self-appointed council of state, so I suppose this piece cannot do too much [further] harm. The original topic I was asked to discuss was the Judiciary’s expectations of the incoming president. As I am not a judge however, I asked for latitude to discuss what I think will be the expectations of the legal profession as a whole. There is no better person in the world to be Vice President, when it comes to the issue of judicial reforms, than Professor Yemi Osinbajo. He is the reason why the Nigerian Law School had to develop additional course material on civil procedure. During his time as Attorney-General of Lagos State, he oversaw the introduction of revised rules of court that sought to make the process of litigation a much smoother and more efficient affair. Many states have since amended their rules of civil procedure to conform more to those in Lagos State. Unfortunately, however, even though Lagos continues to lead the country in judicial process innovation, trial times still average 2-4 years for hearing relatively uncomplicated matters. Many people do not mind being taken to court because they know immediately that the pressure to take remedial/corrective action has been lifted for a while. Many people, on the other hand, also resort to self-help because they do not have the luxury of 2 years to waste on a decision which they can’t even reasonably predict. I have previously discussed judicial reform here. Of course, this is a matter on the Concurrent Legislative List, meaning that the Federal Government cannot dictate how States run state courts. However, the Buhari-Osinbajo regime would do well to pioneer the reform process at the Federal Courts. If they are successful, it is only a matte of time before the states follow suit. Faith must be restored in the judiciary as the last hope of the common man. There should be relative predictability of durations and outcomes. The judiciary staff, especially the support staff should become more professional and less demanding of “facilitation” to give dates or progress files. This is probably the great desire of my constituency of commercial law advisers and practitioners. As it stands today, you would be hard-pressed to find legal advice with absolute certainty on all applicable taxes applicable to a business. Most advisors will only give an approximation because we have 3 tiers of tax, which get murkier as you descend down the federal ladder. Some of the taxes overlap and although successive governments have promised to address the matter, very little progress (some would even say effort) has been made. If you add into the mix the growing number of chartered professional institutes and professional regulatory bodies all jostling for relevance and adding further barriers and hurdles to the business process, the picture becomes even cloudier. Uncertainty is a disincentive to business and investment. It hinders proper planning and leaves avenues for businesses to be exploited by unscrupulous government officials. Of all the talk and bandying about about of the much clichéd “creating an enabling environment” for businesses, putting entrepreneurs in the position to resist the imposition of random and stealth levies ranks nearly as high, in my estimation, as ensuring stable electricity. Let everyone know what their obligation to society is and be free thereafter to pursue their interests. There is also the uncertainty that comes about in legislating via directives. Heads of government agencies, very many times on whims, change policy or business requirements with a mere letter or an interview in the newspapers. Thankfully, a few directives have successfully been challenged (eg FRSC directive on new license plates) but a system where wide-reaching policy shifts or legal requirements don’t go through the rigorous process of law-making or being issued as gazetted regulations must be discouraged. This should not be too hard for the ex-General as his greatest asset is his reputation for abhorring corruption and corrupt practices. I would approach upholding the rule of law from 2 sides. The first, more obvious side, is that which compels government and its agencies to respect the law and be subject to due process at all times. The less popular, and less expounded side, is that which insists that there must be consequences for wrongdoing, no matter how highly placed the wrongdoer is. Conversely, agents of government must also act within the limits of their powers. Wearing a uniform and brandishing a firearm should not become a license for trampling on the rights of citizens. Policemen should no longer be available as intimidators-for-hire to settle civil disputes (which, when you think about it, would no longer be necessary if the courts granted timely/speedy justice). This point also extends to our orientation as a people. While it would be totally unacceptable for the country to go back to the floggings of when the General was last at the helm of affairs, we do need to be “whipped” into shape. The “Do You Know Who I Am” syndrome had to die an urgent death. People must learn to wait their turn, be orderly and show consideration for the next person. So whether it’s in the conduct of one’s business or simply driving from Point A to B, upholding the rule of law on the part of both the government and the citizenry, means everyone understands the legal and social consequences of all their actions. The public office side probably should be higher on the priority list, however. And if they can reform the judiciary and speed up the dispensation of justice, it should no longer take 2-3 years to determine if a public official pilfered or not. There should also be no interference from the Federal Government with the various law enforcement agencies, as long as those ones also act in good faith within the scope of their enabling laws. They should be free to investigate and prosecute without let or hindrance. To conclude, there are probably a few more areas that the profession would like to see the impact of the incoming government. However, it is my belief that achieving even one of these items would be transformational for the entire country. Achieving all three would be nothing short of earth shattering. If the government can ensure that the system works more efficiently, is fairer to those on the lower rungs of the societal ladder, and metes out commensurate punishments for crimes (no more N300,000 fines for N50bn thefts), then I am quite confident that the government will earn a veritable commendation from the legal profession. This is well said. It however still behoves on the principle of collective responsibilit. The national orientation agency must be put also to great task in some of these. As for the judiciary it is the general expectation that they will get better. Well done!